The seasons are so striking around Greenwood Plaza, our beautiful Centennial apartments. No wonder our community loves to celebrate autumn’s arrival by decorating. Here are some ideas to set the autumn mood at home. Transform any side table into a stand for an assortment of pretty gourds and little squashes. It’s simple, carefree and pretty. Just let your collection set the autumnal tone. This can double as an edible arrangement if you’ve selected a variety of edible gourds and pumpkins for pies. Pumpkins on a shelf or the mantel are nice, but bring a bit of gold paint into your decorating and you’ll really dress them up. Put round stickers on a pumpkin and trace the circles. Take the stickers off and fill in the circle shapes with gold metallic paint. Or do the reverse: put round stickers on the pumpkin, paint the pumpkin gold, let the paint dry and peel your stickers off. For a variation, decorate your pumpkins with elegant upholstery tacks of various shapes. White or gray pumpkins are especially showy when adorned with the studs. Metallic spray paint isn’t just for patio furniture anymore. Spray paint pine cones, apples, old candlesticks and bottles for a dazzling table piece. Dress up your door this year with a fun and festive autumn wreath. Go to a craft or fabric store for a plain vine wreath. 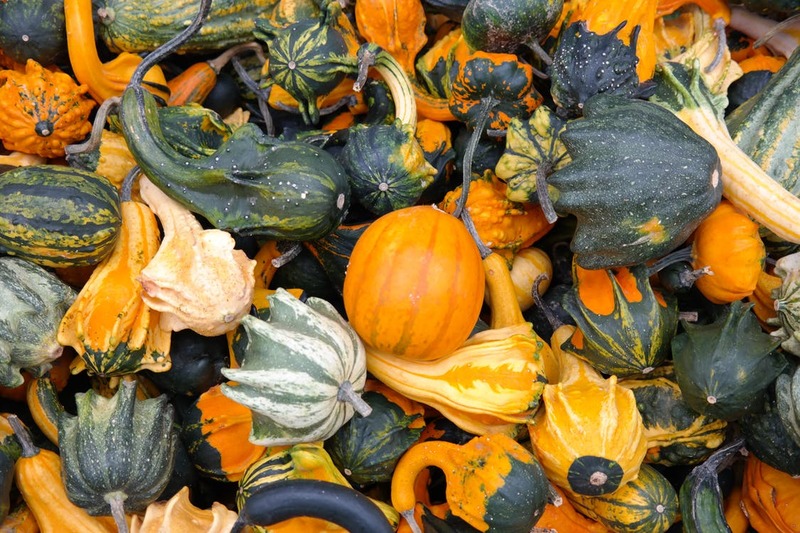 Adorn it with autumn leaves, seasonal berries, and gourds or mini-pumpkins. You can use wiring to secure pumpkins or gourds and seasonal foliage to your wreath. For a dramatic twist on the concept, leave part of the grapevine unadorned. Our community is regaled each year with the sight of mountain greenery turning golden. What a lovely place we call home. We hope you enjoy the beauty of autumn at its richest at our apartments in Centennial. If you are in search of a one-, two- or three-bedroom apartment home, let us show you Greenwood Plaza. Contact us at (855) 273-3148 to schedule a tour!